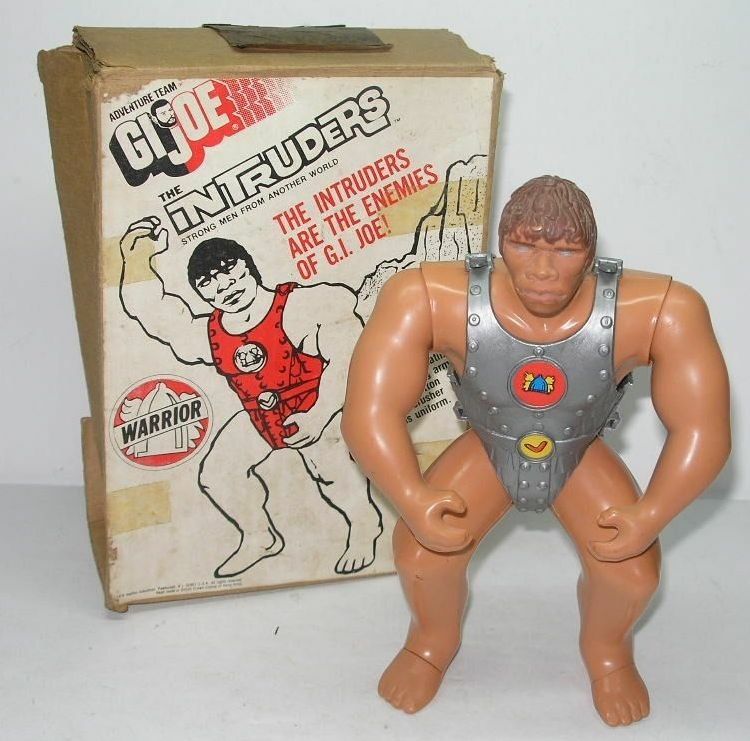 The Intruders (8050) were billed by Hasbro as "strong men from another world." 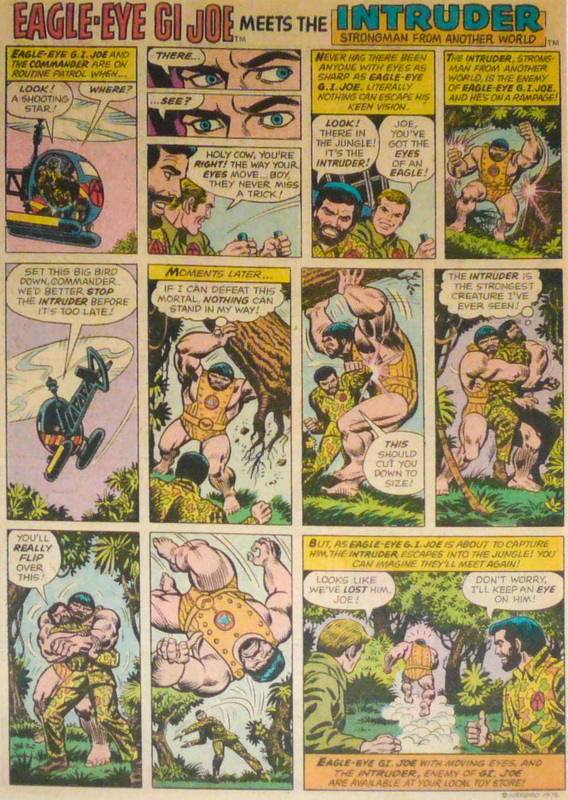 The idea was to revive interest in the line by adding a science fiction/superhero element to create "The Super Adventure Team" that consisted of your choice of GI Joes, Mike Power, and Bulletman. They came in two forms, the Intruder Commander (above right) and the Intruder Warrior (above left). 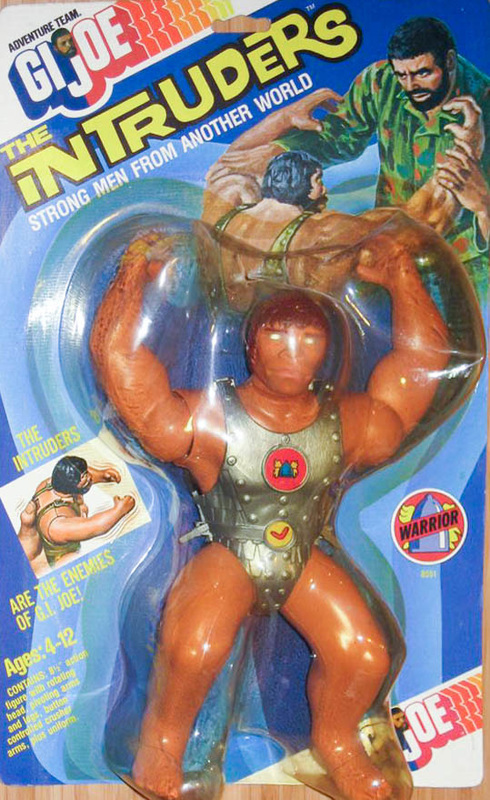 These eight inch aliens were the team's enemies, with a combination of brute strength and super science. It's hard to swallow that second part when you consider their Neanderthal looks and Hulk-like behavior. The figures have limited articulation , though they do have neat clenching action with an added head twist when the button on the back is pressed. They are tough to find on the card. Carded examples below courtesy of John T. Marshall. Note the Commander below lacks the logo sticker and apparently has a red sticker from the jeep tail light in place of the belt sticker. Quality control was not the best at the end of the line. 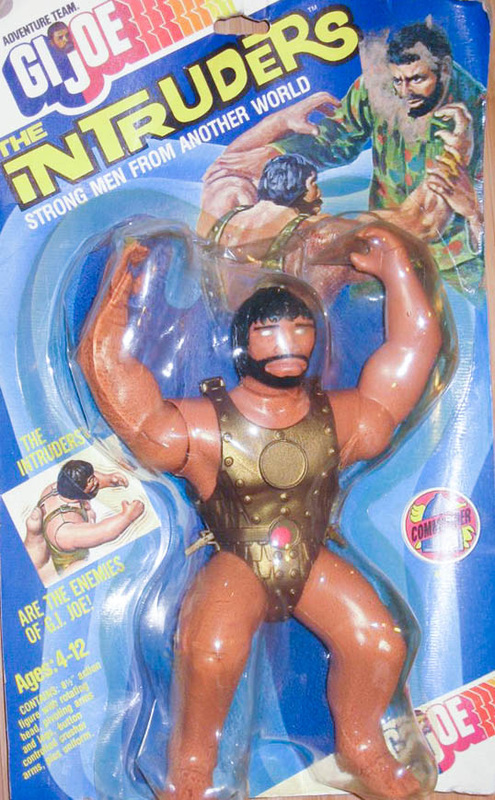 Most Intruders were sold on a blister card like the other late issue figures. Below, an image of an ultra rare Sears catalog box courtesy of Pat Damico from Liberty Sales of Hazelton, PA. See their eBay sales here.